Designed for the larger studio, the award winning HU 5P 50″ Professional Studio is powerful and yet well balanced with a colorful tone. Cold pressed hammers of highest quality German Wurzen felt are the heart of the sound. Tuning and action stability are ensured with the multi-laminate maple pin block, bass agraffes, full perimeter wet sand cast plate, and the exclusive PAS Keyboard Stability system. 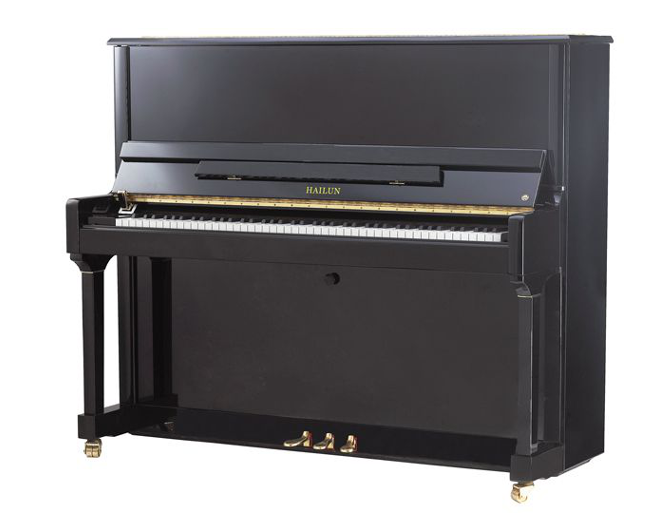 Special ebonized sharps and all wood action parts made of hornbeam from Europe give the pianist exceptional control. Slow-close fallboard and classic design add the finishing touch.